The HoursTracker app (available for most of the major mobile platforms including iOS, Android and Blackberry) allows you to set the time you’re starting in, and then set the stop time for a specific time so you know when you’re off the clock. 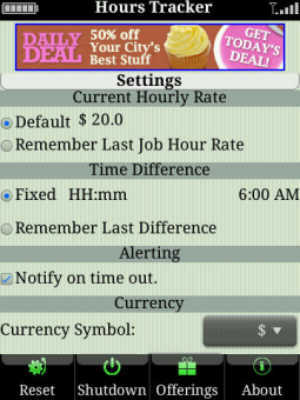 Conversely, you can also set your start and stop times manually so you know exactly how much time you put into a job. You can also review a summary of your hours worked by the day, week, month or by individual jobs, then export all that data via .csv file to another computer for ease of referral later. You can even split an entry into two to accommodate a lunch break or the like, plus do some further manipulation from there. Basically, this is one of those niche apps that are really only going to be useful for you and your small business if you deal in the “billable hours” segment of the small business, and want what amounts to an incredibly simple stopwatch that also records time listings. The record keeping capability is also very valuable here, and if you need to track your time, it’s a great way to do so. It’s also sufficiently easy to use that you’ll be able to start in with most of the primary features within minutes of actually downloading the software; I tried it with this article here, and it went very smoothly indeed. Better yet, you’ll have two options: there’s a free version which is down a couple features and is supported by advertising, but is otherwise normal, or you can drop $2.99 to get the full version which has full features and no ads. So for those of you who need to watch their billable hours, HoursTracker is exactly what you need. I am the developer of HoursTracker for iOS. Thanks for reviewing it! This app is only available for iOS. 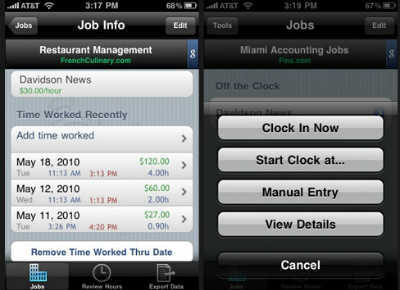 Any similar apps on Android or BlackBerry are of no relation to the iOS app. Just thought that needed to be cleared up. Pingback: Does Anyone Need A Blackberry Anymore?